I send you a binocular-observation of the splended C/ 1995 01 (Hale- Bopp)! surprises and fine to observe for amateur- astronomers. Info on my sketch. I used watercolor crayons on black paper. Wasn’t this one a spectacular sight. 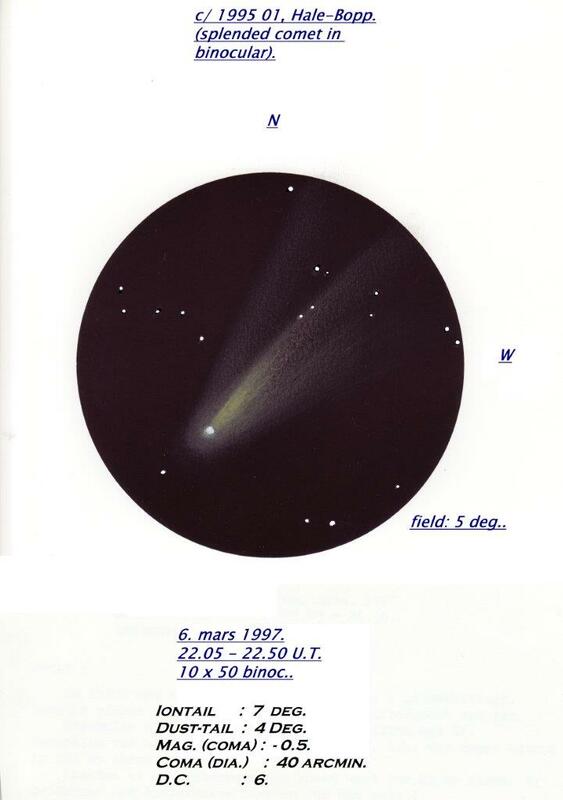 Fine sketch of this great naked eye comet.